In around 1786, the parish of Llanbeblig established a House of Industry in a rented house. 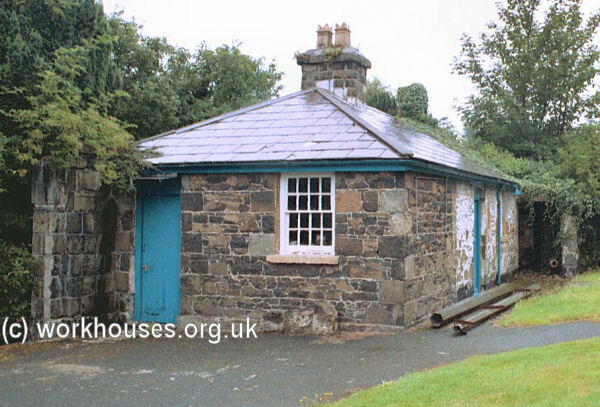 In 1801, Llanrug built three cottages for the use of its poor at a total cost of £27. The buildings were very small, measuring 5 yard by 4½ yards and only five feet high. Carnarvonshire: Bettws Garmon, Clynnog (2), Llanbeblig (5), Llanberis, Llanddeniolen (3), Llandlyfni (2), Llandwrog (2), Llanfaglan, Llanfair is Gaer, Llanrug (2), Llanwnda (2). Anglesey: Llanfair yn y Cwmmwd, Llangaffo, Llangeinwen, Llanidan, St. Peter's, New-borough. The population falling within the union at the 1831 census had been 22,019 with parishes ranging in size from Bettws Garmon (population 128) to Llanbeblig (7,642). The average annual poor-rate expenditure for the period 1834-36 had been £6,364. 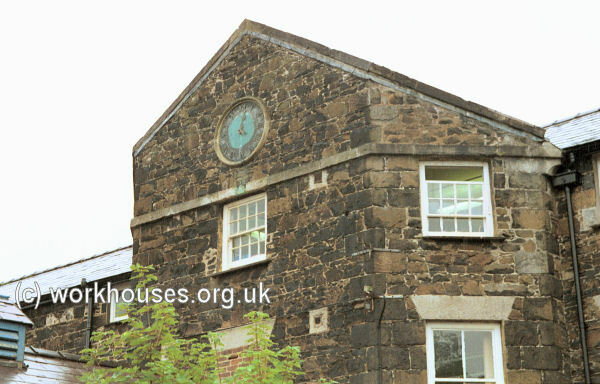 In Carnarvon, as in many other Welsh unions, there was little enthusiasm for the new workhouse system and it was not until 1846 that a workhouse became operational. The Carnarvon Union workhouse accommodated up to 200 inmates and occupied a site to the south of the town. Its location and layout are shown on the 1889 map below. Its entrance at the south of the site was flanked by single storey blocks, presumably including a porter's lodge and perhaps a receiving block. The E-shaped main building was three storeys high in at the front with single storey wings extending northwards at the rear. Carnarvon, main block from south, 2000. Carnarvon, porter's lodge(?) from the north-east, 2000. The central portion of the main block protruded at the rear to form a supervisory hub whose windows overlooked all the inmates' yards. Carnarvon, main block from the north, 2000. Carnarvon, main block from the east, 2000. Carnarvon, detail of main block from the east, 2000. Various blocks of one or two storeys lay along the north of the site. Carnarvon outbuildings from the east 2000. A separate infirmary was erected to the west of the site. Carnarvon infirmary from the north-east 2000. The Commissioners are well aware of the value of the public services of the guardians of unions, and of the time and attention which they devote to the discharge of their official duties. The Commissioners would readily concur in any arrangement which could be properly made, either for promoting the comfort and convenience of the guardians, or for diminishing the claims made upon the time which they might otherwise devote for the transaction of their private affairs ; but the proposition alluded to in your letter is not one to which the Commissioners' concurrence could give any validity, since the law itself has not placed the matter within their discretion, so as to render any expense which might be incurred for such a purpose legally payable out of the poor-rates. In the early 1900s, the union erected a large new hospital known as Eryri Infirmary. It was located at the north-east of the workhouse and used a typical pavilion-plan layout with separate male and female ward pavilions either side of a central administration block. 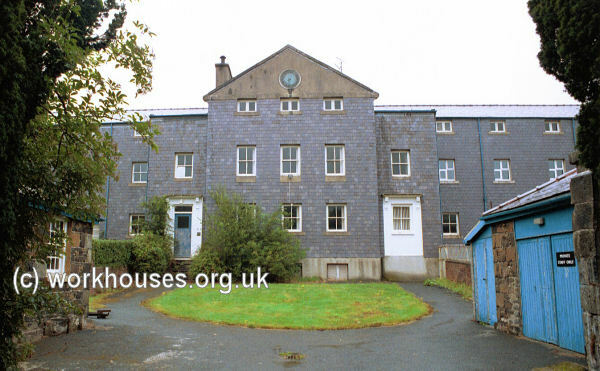 From 1925 to 1948 the workhouse part of the site operated as Bodfan Mental Home 1925-1948. 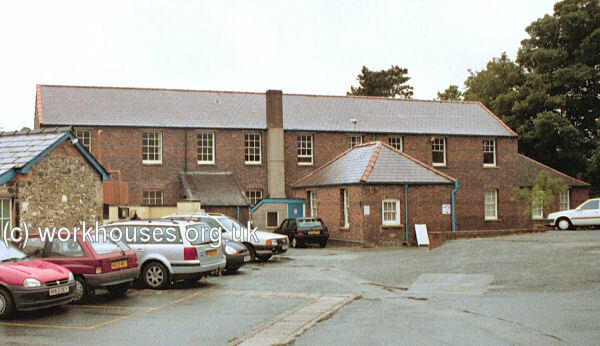 It then merged with the adjacent Eryri Hospital. 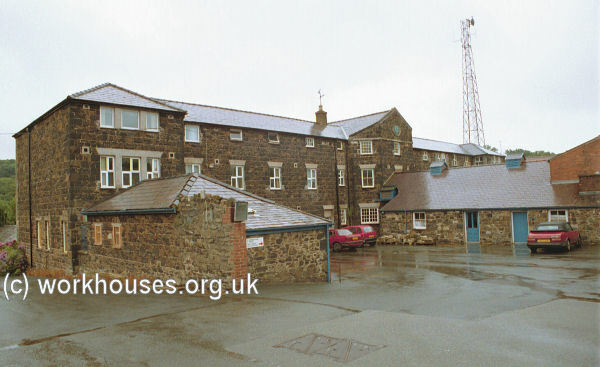 The old workhouse buildings are now (2000) largely used for hospital administrative accommodation. 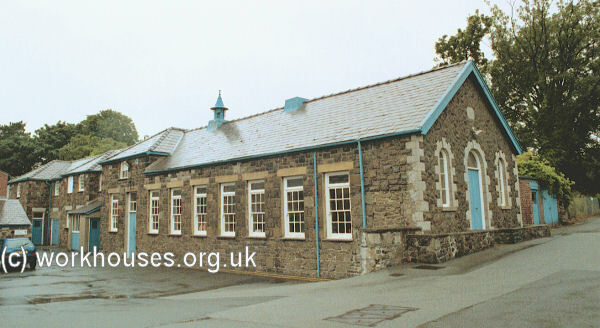 Caernarfon Record Office, Swyddfa'r Cyngor, Caernarfon LL55 1SH. Holdings: Guardians' minute books (1907-29); Births (1872-1902); etc.